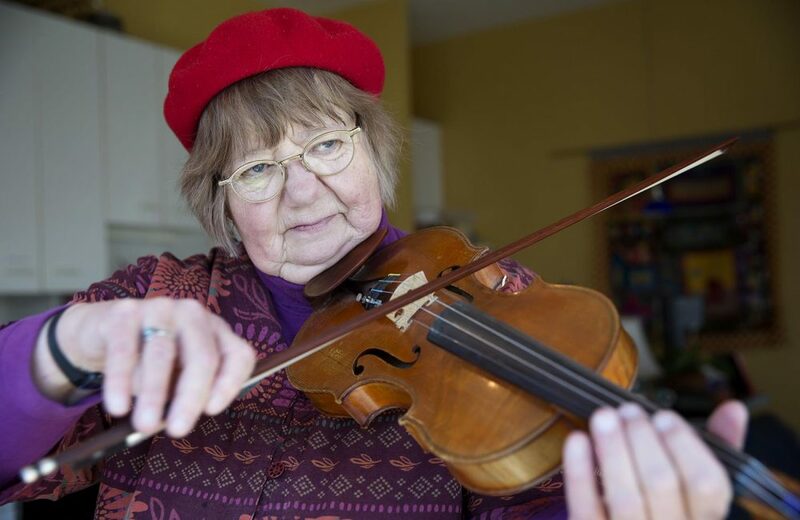 The Boston-area musician couldn’t afford that expense after hearing loss forced her into an early retirement. She had to rely on family members to pick up the bill. A price tag like that is often a surprise to people buying hearing aids for the first time. Four states — Arkansas, Connecticut, New Hampshire and Rhode Island — require health plans to cover hearing aids for children and adults. But those benefits are rare. A 2017 survey by the Hearing Health Foundation, a group that funds research and advocates for treatments and cures for hearing loss, found that 40 percent of the people they asked had no hearing aid coverage through health insurance. The technology inside the hearing aid is another reason they’re so expensive. 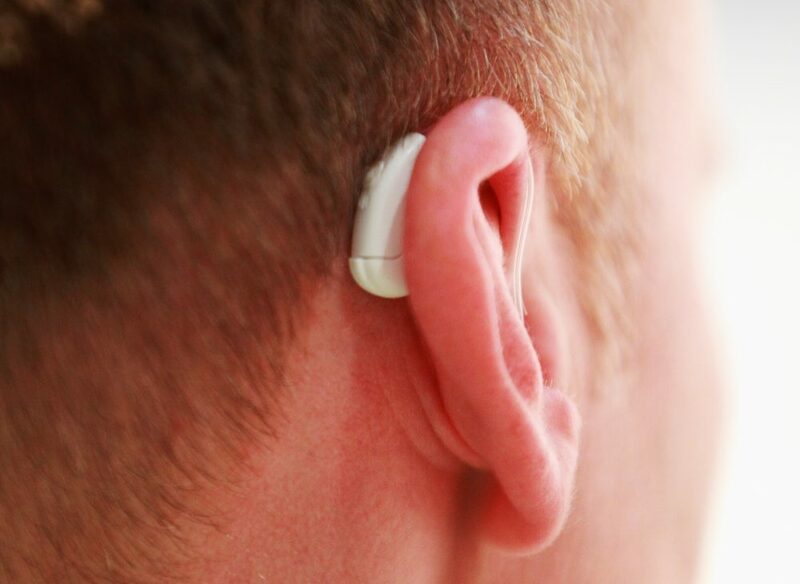 Also, the cost typically includes the services of an audiologist for fitting and maintenance. Franck cites four reasons the barriers are so high: cost, stigma, hassle and the gradual nature of hearing loss. “Admitting that you have hearing loss, and admitting that you need hearing aids, is a psychological factor that can be hard for many people,” Franck says. All of these reasons help explain why up to 86 percent of adults over 50 who could benefit from hearing aids do not use them, according to the National Academy of Sciences. But there is change ahead. Last year Congress passed the Over-the-Counter Hearing Aid Act of 2017, which creates a new class of affordable hearing aids that can be bought without a referral from a licensed professional. The Food and Drug Administration has three years to finalize the rules that will regulate the devices. But the technology is already here. Companies like Bose and Etymotic are selling personal sound-amplification products for a few hundred dollars. Franck prefers to call the emerging line of products “hearables,” or “headphones with benefits.” They typically make quiet sounds louder, allow users to stream music or cancel out extraneous noise. For now, companies cannot market these products to people with hearing loss, and they cannot label the products as hearing aids — even though they do many of the same things. But relying on over-the-counter hearing aids could be risky, according to Neil DiSarno, chief staff officer for the American Speech-Language-Hearing Association. DiSarno says people should be cautious of taking a trained audiologist out of the equation, because without a proper examination there would be no way to know if hearing loss is a result of a serious underlying medical condition, like a tumor. His group has tried unsuccessfully to pass a law that would include audiology services in Medicare coverage.